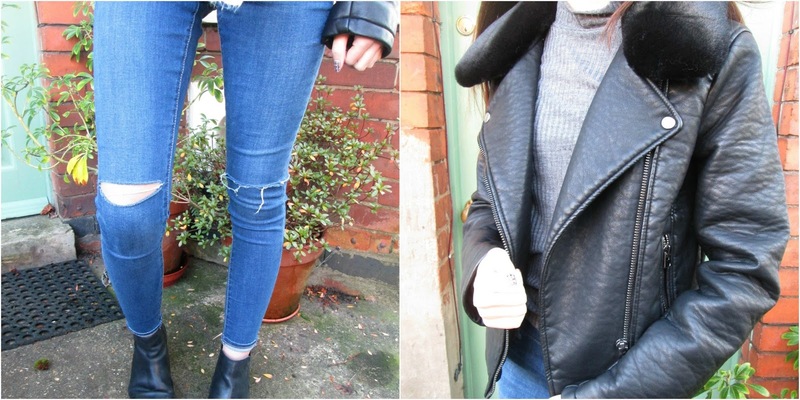 I've been after a biker jacket for a while now and I saw this one in Topshop and was lucky enough to get it for Christmas. When I tried the jacket on I found a size that fitted me perfectly but decided to size up so that I would be able to wear thick jumpers underneath it as well. It has a detachable fur collar so it's versatile for both winter and spring. The top I'm wearing underneath is a high neck, thin ribbed top also from Topshop. I really like the higher neck but because it's lightweight I don't get too hot. I decided to pair this look with some ripped highwaisted Leigh jeans again from Topshop and my trusty Topshop chelsea boots. 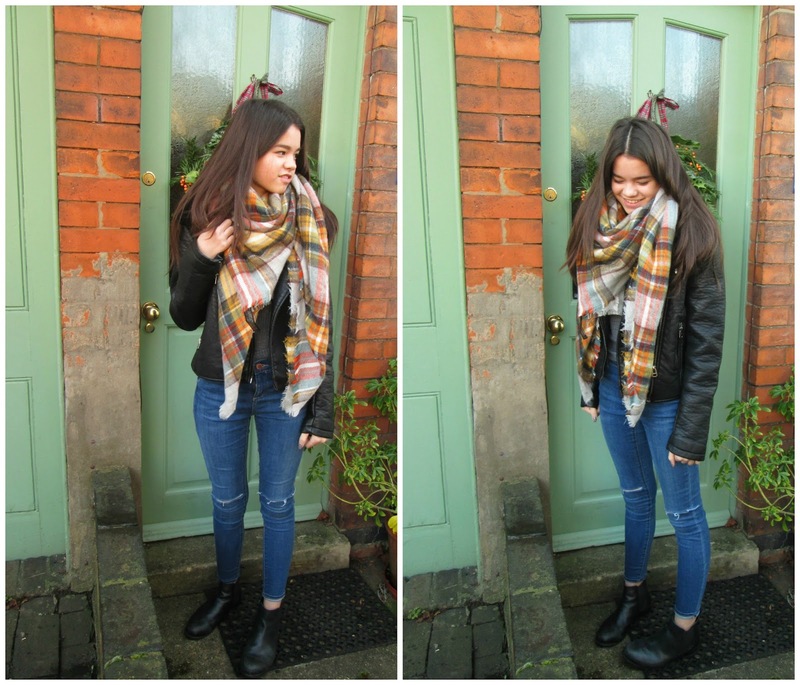 The whole outfit was finished off with a beautifully soft Zara blanket scarf which was gifted to me from a friend. I also have a red plaid blanket scarf and I've really found these scarfs very useful during the winter season. Hope you've all had a great Christmas and I look forward to the rest of 2015! What has been your Winter staple item? P.S I will be posting at 6:00 PM every Tuesday, Thursday and Sunday so stay tuned for the upcoming posts! I would love to have the whole of my wardrobe decked out in Topshop but it's so expensive!